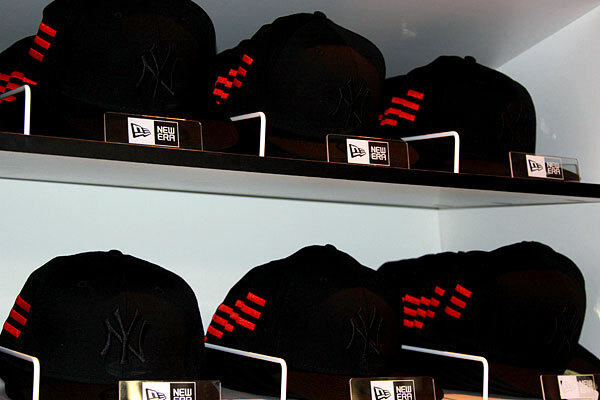 Here we finally get a close-up of what the very high profile collabo looks like on a classic fitted. Looks decent, well made. I think if I'm gonna do anything Jay-Z/Yankee related it isn't going to be anything more than a cool hat with that Blueprint 3 insignia. I don't do jerseys or team tees anyway, and I don't rock rappers names on my clothes unless it's my own! *Anyone have price detail on any of this stuff? Just curious.